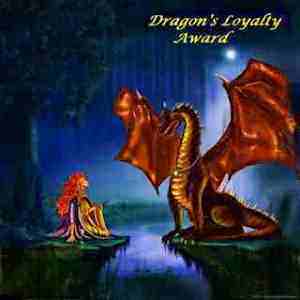 Wow Lynn – I’m honored and nearly speechless that you would pass this award to me. I hope you don’t mind if I save it until after National Novel Writing Month is over. [Yikes! That’s not long is it?] Meanwhile I’ll try to think of something interesting to say. Best of luck with your WriMo novel. I hope to see an excerpt from it. Good luck on your NaNo, too, Teagan! Well, thank you kindly, Lynn. I didn’t know you sing. I’ve been missing music in my life and am wondering how to get it back in it’s place (I have too many hobbies, I think…) I sing in the shower, but it’s more enjoyable to make music WITH others. I hope NaNoWriMo is going well for you. I’m meeting my goals of finishing my books without making myself crazy. I’m still a little behind on word count, although I expect I will be able to make it up this week since work is a bit slower.